Descriptions of such a pizza recipe, however, can be traced back to at least 1866 in Francesco DeBouchard book “Customs and Traditions of Naples” - (Vol II, p.. 124). There he describes the most popular pizza toppings of the time which included one with cheese and basil, often topped with slices of mozzarella. Whatever the real origins of this pizza recipe are, all we know for sure is that Raffaele Esposito's version for Queen Margherita was the one that made it popular. 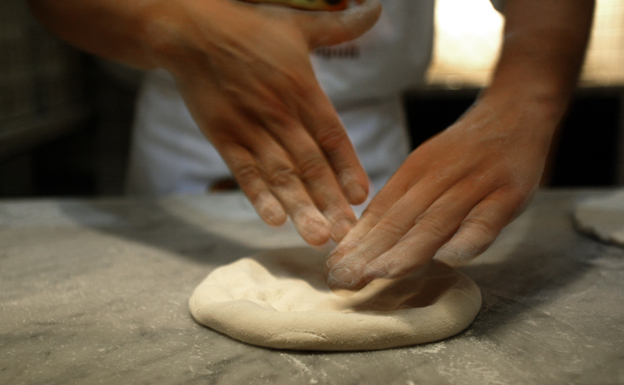 Since then it has grown into one of the most recognisable symbol of Italian food culture in the world. 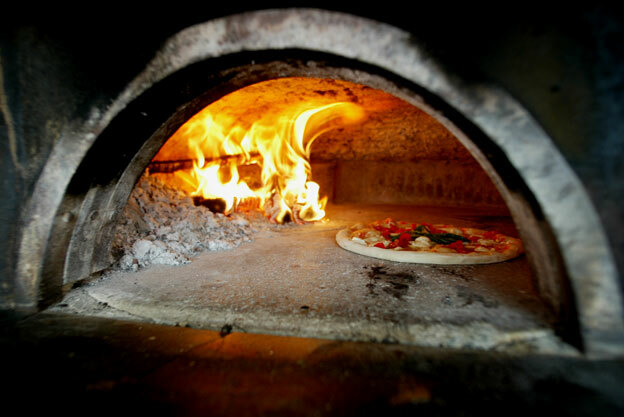 Since 2009, Pizza Margherita is one of the three Pizze Napoletane with an STG (Specialità Tradizionali Garantite - Traditional Guaranteed Specialty) EU label together with the Marinara (garlic and oregano) and the Margherita Extra (mozzarella di Bufala Campana DOP, fresh basil and tomatoes). Below is the original Pizza Margherita recipe you find in the official standard procedures codified in the Disciplinare di Produzione della Specialità Tradizionale Garantita "Pizza Napoletana". Mix flour, water, salt and yeast. Pour a liter of water into a dough making machine, dissolve 50-55 g of salt, add 10% of the total amount of flour you are planning to use, then dissolve 3g of yeast, and start mixing gradually adding the remaining 1.8 Kg flour until the dough reaches the desired texture and consistency, defined as "Il Punto di Pasta", smooth to the touch and very extensible . Take about 60g to 70g of chopped tomatoes and using a wooden spoon place in the center of the disk of dough. With a spiraling motion, spread the tomato over the surface. Then add a pinch of salt on the tomatoes, 80 - 100 g of DOP buffalo mozzarella, cut into strips and some basil leaves. Again with a spiraling motion starting from the centre, add 4 to 5 grams of extra virgin olive oil.